Philippines has realized that Outsourcing is not just about English speaking; but it involves several more factors as well. In a major fight back demonstrated by Indian BPO players, projects are now returning back to India from Philippines as American and European companies discover that their expectations are not being met there. First, some background into this fight for Outsourcing. 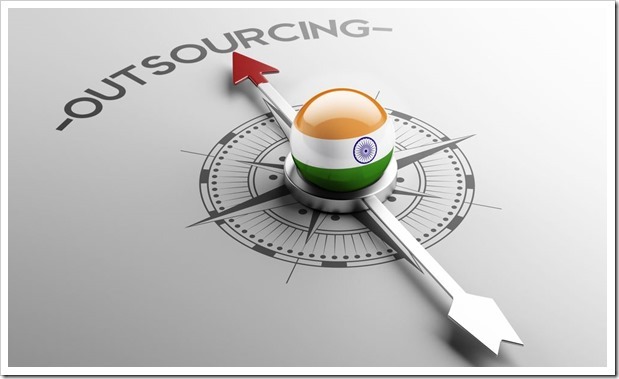 In the month of April this year, The Associated Chambers of Commerce and Industry in India (Assocham) notified us that India is losing it’s steam in the outsourcing industry as countries such as Philippines may take away upto 70% of businesses from India. Not only Indian investors but MNCs based in America and Europe have started preferring countries in East Europe and Philippines along with Malaysia and Thailand to outsource their projects as the spoken English of citizens of these countries are neutral and easily understood by Americans. Tholon, which is a reputed advisory for outsourcing companies all over the world released their annual ranking of the top outsourcing destinations. Although India secured top spot, but several important Indian cities lost their rankings as cities in Philippines such as Manila and Cebu quickly climbed the charts, and several major outsourcing contracts were shifted from India to these locations owning to lower costs and better ‘English speakers’. Not only Philippines, but cities in Vietnam (Hanoi) , China (Beijing, Shanghai, Shenzhen), Singapore and Hong Kong emerged as the new destinations for outsourcers. Indian cities such as Mumbai, Chennai, Gurgaon and Pune lost several places in the rankings and the Indian BPO industry started to feel the heat. Yes, speaking neutral and fluent English is important for any outsourcing projects, but besides that, there are several other factors which contribute to the success of such campaign. To start with, having technical knowledge certainly helps, as most of the outsourcing projects belong to the technical industry. Then there is sales skill – ability to understand the customer, perform some basic sales evaluation techniques and pitch the right product. Being able to calculate and display analytical skills to solve business problems along with the ability to ‘write’ good English. Today, major companies are looking for customer support experts who can talk and write both at the same time. It seems that BPO employees in East Asian countries such as Philippines and Vietnam are miserably falling short on these skill sets, as attrition rates are climbing as high as 60% in some big companies. As a result, companies are now turning back to India, where all the above mentioned skills are found easily, and attrition rates are lower as well. Telstra and BestBuy are other outsourcers who have moved back major projects from Philippines to India, as sales skills of Indians are much better than those from Philippines. The writing is clearly on the wall now – Outsourcing has evolved, and so has the skill set requirements. There is a reason India has outpaced other Asian countries in the IT industry, and the same reason is now helping us to regain lost ground in Outsourcing as well. Ratan Tata Invests In Snapdeal, E-Commerce The Next Frontier For Head Honchos Now! China taking giant strides in Outsourcing services! I can assure you that we Americans hate, hate, HATE, HATE, HATE getting indian-accented “support representatives” BECAUSE WE CAN’T FCUKING UNDERSTAND A WORD THEY ARE SAYING. Contrast that to having (presumably) a Filipino-accented support representative that we Americans CAN ACTUALLY FULLY UNDERSTAND! It’s not “racism” but the FACT that indian “english” is TOTALLY AND COMPLETELY unintelligible to us Americans……….. AND that we Americans CAN understand Filipino English very clearly.